Play ball! On Monday, Major League Baseball celebrated its 140th Opening Day, meaning it was time for baseball fans across the country to take part in America's favorite pastime. Apparently, that's exactly the feeling Ashton Kutcher and Mila Kunis got, because they attended the Los Angeles Dodgers game. 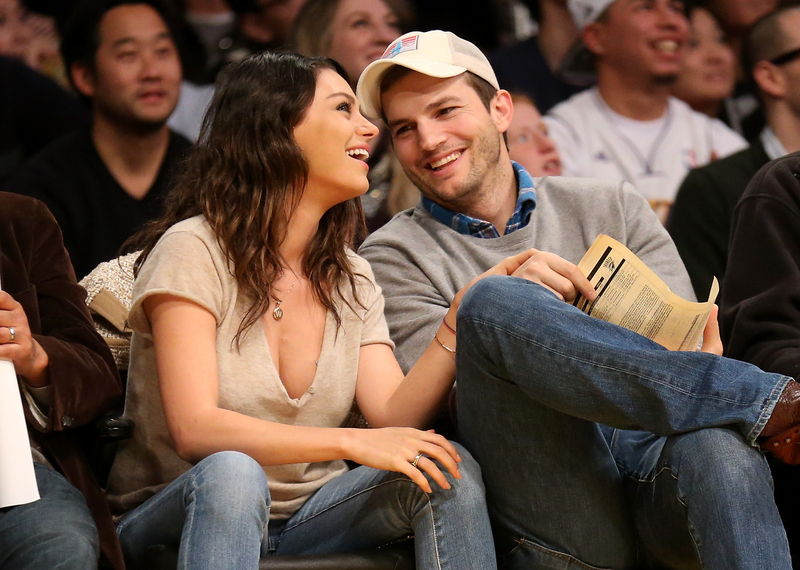 Kutcher shared an adorable photo with Kunis on Facebook, and it will make you want to attend a baseball game, too. As you can see below, the two are super excited and have the greatest facial expressions, because, well, the Dodgers won! The photo caption reads: "Love winning on opening day. Go Dodgers!" If that isn't enough, the couple even photobombed some people. I assume the two unnamed men are friends with Kutcher and Kunis, especially since the actor shared the photos on Facebook. For those who don't know, the reportedly married couple are huge baseball fans. On more than one occasion they've been spotted at games cheering on their favorite team. Remember that one time Kunis really got into the game when she was still pregnant with daughter Wyatt Isabelle? Yeah, super cute. Oh, and remember that time Kunis and Kutcher made baseball look romantic? I think it's safe to say that the happy duo know how to have fun at a baseball game. Now, who's ready to play some ball? Better yet, who's ready to watch The Sandlot?